MGM Offers To Donate Nearly $1 Million On Behalf Of Las Vegas Victims It Is Suing MGM Resorts International said it would give $500 to any charity connected to the deadly concert shooting for people who authorize their lawyers to accept legal notice of the company's lawsuit. On Oct. 2, 2017, drapes billow out of broken windows at the Mandalay Bay resort on the Las Vegas Strip, following a deadly shooting at a music festival. On Tuesday, the company that owns the hotel offered to make a $500 charitable donation for victims who authorize their lawyers to accept legal notice of the company's lawsuit. The company that is suing surviving victims of the 2017 Las Vegas mass shooting has offered to make charitable contributions on their behalf — a move the company hopes will allow the case to proceed to federal court. In a Tuesday letter addressed to attorneys representing more than 1,900 named defendants, MGM Resorts International offered to donate $500 to any charity connected to the deadly concert shooting for victims who authorize their lawyers to accept legal notice of the company's lawsuit. 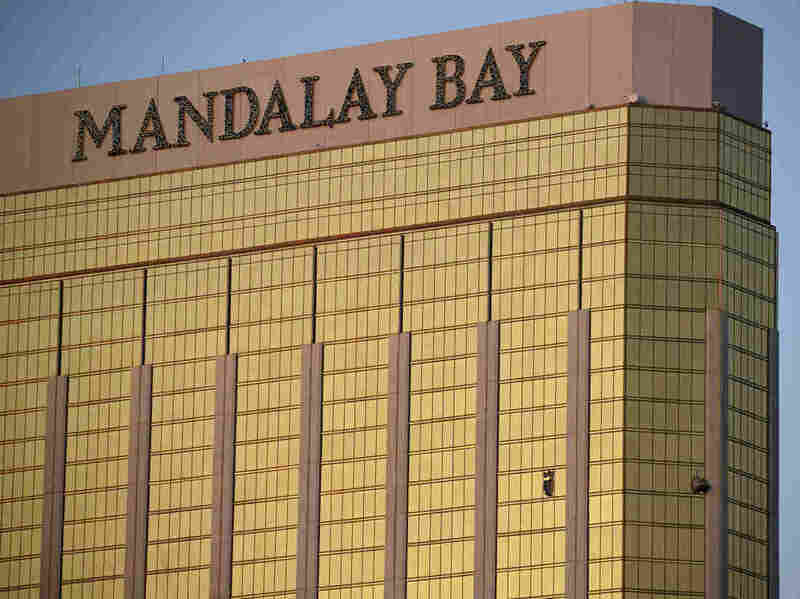 "This is not only standard practice, it also allows us the opportunity to take the money that would be spent on personal service and use it to support community organizations working to benefit the victims of the tragedy," Debra DeShong, senior vice president of global corporate communications for MGM Resorts told NPR. All of the defendants are victims of the shooting who were attending the Route 91 Harvest festival on Oct. 1, and have threatened lawsuits against MGM Resorts or have brought lawsuits that have since been dismissed, DeShong explained. Stephen Paddock fired into the crowd from the 32nd floor of the Mandalay Bay Hotel and Resort, killing 58 people and injured more than 800 others. "We believe that donating funds to a 1 October charity or another appropriate cause makes more sense than spending money on personally serving individual [defendants]," DeShong said. Attorneys have until Sept. 14 to accept the legal notices on behalf of their clients, DeShong said, adding that it is a required next step in the process to move cases into federal court. In a legal maneuver to avoid liability claims, MGM is asking federal courts to dismiss existing lawsuits against the company, arguing it cannot be held liable for any deaths, injuries or damages resulting from the massacre that was carried out by a gunman staying at one of its properties. As NPR's Camila Domonske reported, the casino and resort operator "cites a 2002 federal law designed to encourage companies to deploy anti-terrorism 'security technologies' without fear of being held responsible for damages if a terror attack happens anyway." MGM is not seeking financial damages. Lisa Fine, president and co-founder of Route 91 Strong, a nonprofit organization that provides financial assistance to survivors of the shooting and victim's families, said the gesture is a long time coming. "I wish they would have done this from the very beginning," Fine told NPR. "Instead, they announced they were going to sue everyone, which was ridiculous and awful, but I'm glad they're doing something to help people." It is unclear how quickly checks will go out in the mail, but Fine said she hopes it happens quickly "because people are desperate." "We have a single mom who is about to be evicted because she can't work because of the post traumatic stress of the shooting," Fine said. "Frankly, I would love it if [MGM] gave our nonprofit some of that money. And if not us, I hope they give it to organizations that give to survivors directly," Fine said.